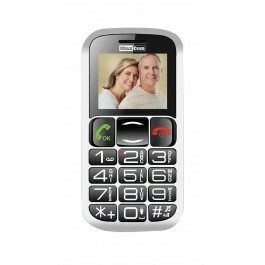 The Maxcom MM462 is a lightweight, compact and easy to use mobile phone with large buttons, large font and easy, clear menus. This handy and stylish phone comes with a charging cradle to ensure its ready to go when you are, and has Bluetooth so that you can connect and talk safely when you are in the car. Other handy functions include a VGA camera to capture those special everyday moments, a handy torch, FM radio, alarm clock and calculator. The ideal everyday companion.